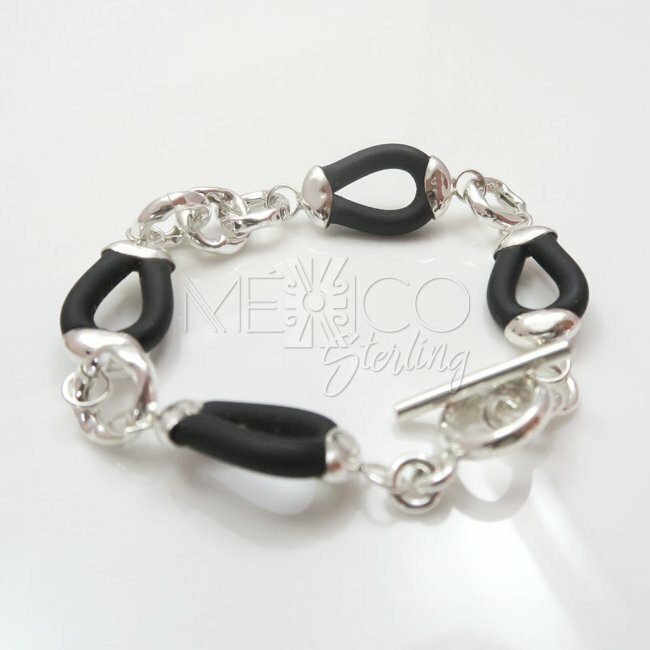 Taxco Silver and Rubber Love Links Bracelet [BR3395] - $36.00 : Mexico Sterling Silver Jewelry, Proundly from Mexico to the world. 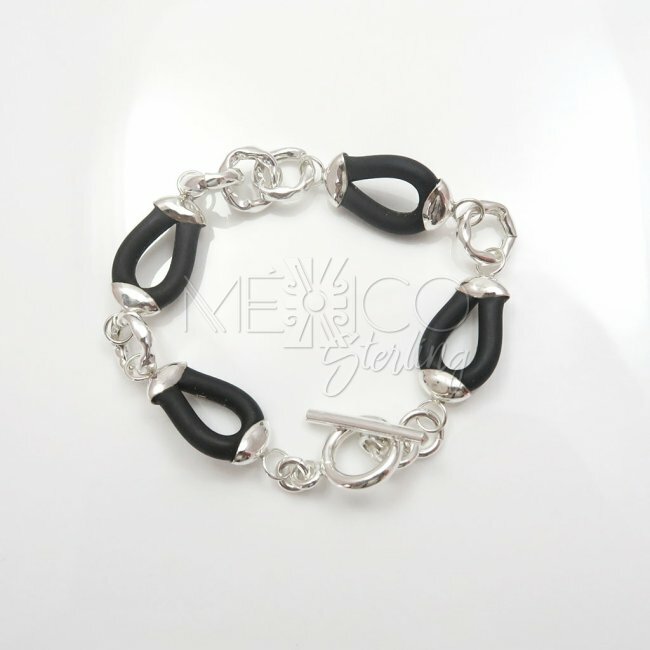 Dimensions: W: 5/8" L: 8" Inside Circumference 7 1/2"
Contemporary and unique silver and rubber bracelet. The pattern on this bracelet is very ingenious and looks really nice on any wrist. It gives an extra special accent to any clean casual look. The design is not intricate nor complicated or full of details but it does take your attention right away. Some of the features are, the silver links a bit dented, giving them a nice kind of texture and variations in light and the rubber links that make such a nice contast with the silver ones. 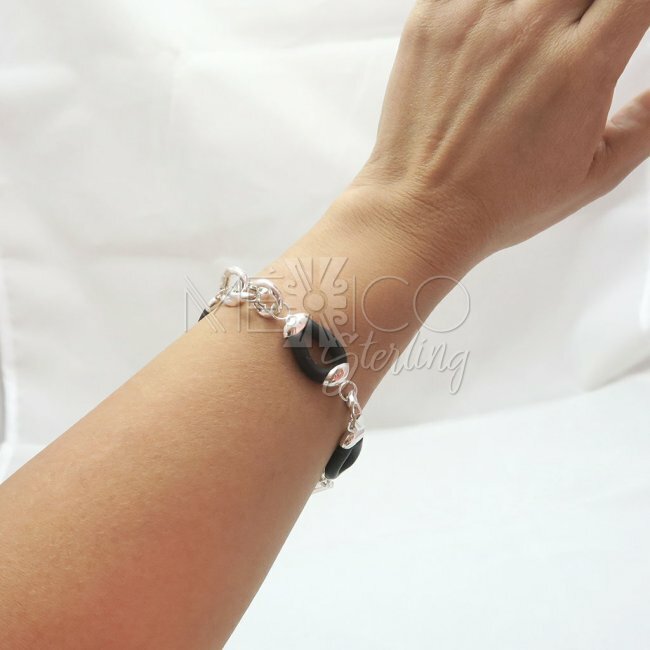 Please take a look at the extra photos, for more details on this beautiful bracelet.